Something new is coming soon!!!! He even asked if he could take some home with him so I gave him a gift pack comprising of his own very special sauce, our Lobster and Champagne Sauce, our 2 gold star Porcini mushroom sauce and our 1 gold star Peppercorn and Brandy Sauce. My rather cheeky and utterly delicious sauces including my 2 Gold Star Proper Porcini Mushroom and 1 gold star Peppered Private Reserve are currently available from farm shops, deli's and farmers markets around the Northeast and Cheshire. They can also make their way to the rest of your rumblin’ tums via our new online shop ......ooooooh I'm just spoiling you aren't I??? We have our new Christmas sauces which will be available individually or in a gift set for the perfect Christmas Gift. 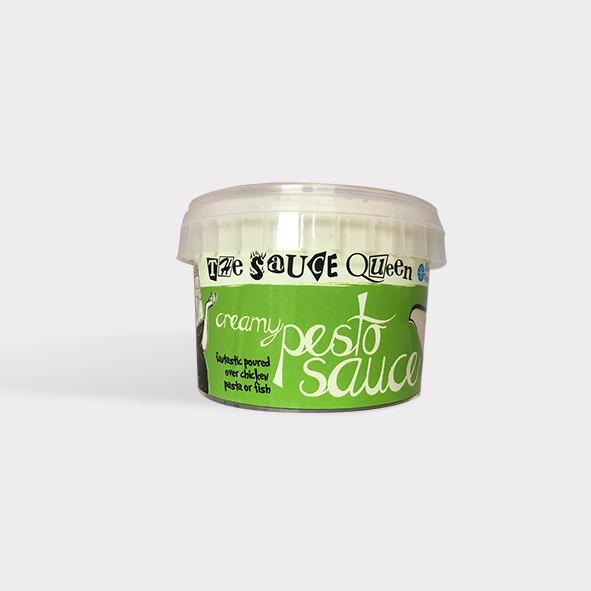 Our sauces are extremely user friendly we have designed them with our customer in mind. Please heat on a gentle setting whilst stirring constantly. 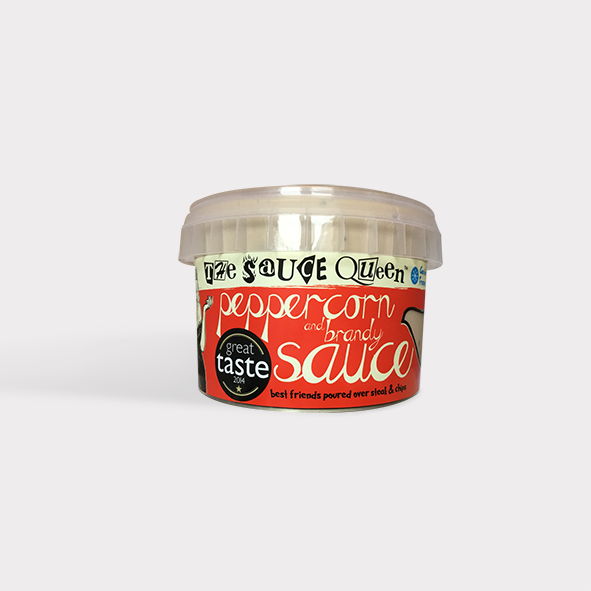 In our core range we have 13 flavours but we do have seasonal sauces which we do at Christmas. However please wait patiently as we have a new range coming soon. Our sauces are made from only the very best ingredients and wherever possible we try to keep our carbon footprint down when sourcing these ingredients. For instance we source our double cream which makes up between 80%-90% of the volume of your sauce from our local dairy Lanchester Dairies which is only a 15 minute drive away. They make their cream on site so its more or less farm to fork. Its just dumb luck on our part that it happens to be the best double cream I have sourced since The Sauce Queen began and its on my doorstep. I do only source the best quality ingredient so if its not local I go direct to the source. My Cropwell Bishop Stilton Sauce contains 22% Stilton and I get this direct from the manufacturer which also cuts down on the carbon footprint. The same goes for my award winning porcini mushroom sauce. 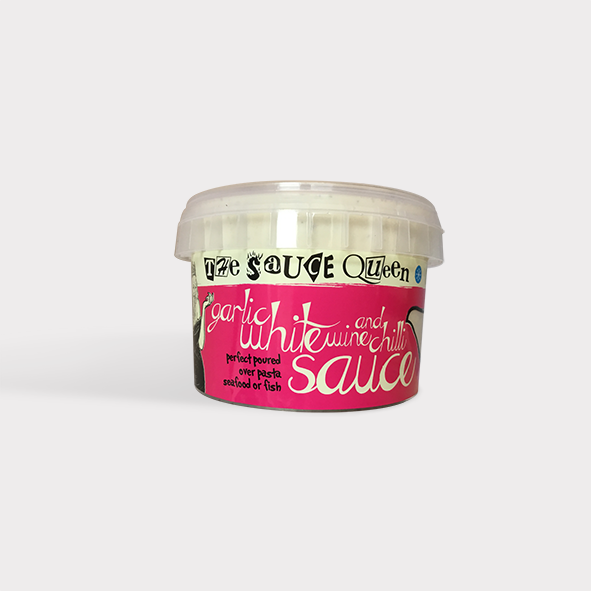 In general I aim to make the best sauce that you can buy anywhere but when it can be ethically done I will do. My packaging is also recyclable so please help the planet by recycling my tubs. because AFTER all you deserve it!! !